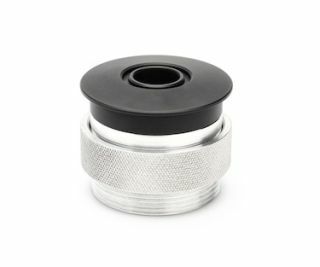 The What: DPA Microphones is launching a new Tabletop Shock Mount for its d:screet and d:dicate Podium Microphones.The What Else: With vertical softness that absorbs handling vibrations, horizontal movements are controlled to prevent the podium boom from coming in direct contact with the mount. Optimized for the weight and dimensions of each of the d:screet and d:dicate mics and booms, the mounts fit plate thicknesses of .3- to 1.5-inches (eight to 38 mm). The mounts are also easy to affix, requiring only an approximately two- to 2.5-inch (55 to 59 mm) opening, and can be custom-ordered with a variety of finishes to match the surrounding furniture or architectural structure.